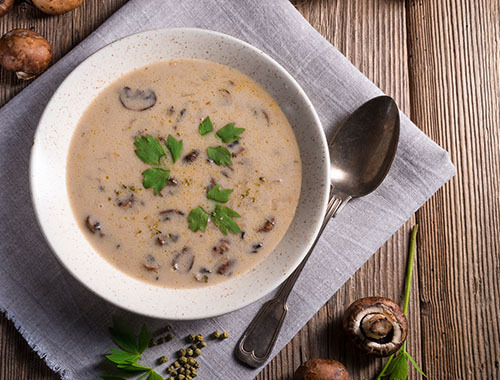 Say goodbye to canned mushroom soup with this perfectly homemade recipe! The taste of coconut will make it even more delicious! 1-	Melt the butter in a pot on medium heat then fry the onion until soft. 2-	Add the mushrooms and the garlic. 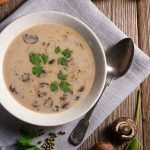 Cook until mushrooms soften. Season with salt, black pepper, white pepper and thyme. 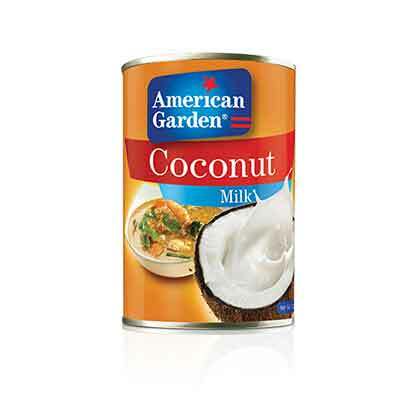 3-	Pour in American Garden coconut milk and stir until it boils then add the chicken stock. Stir frequently bringing it to boil. 4-	Reduce the soup to a simmer and cook for 1 more hour. 5-	Garnish with parsley leaves and serve hot.